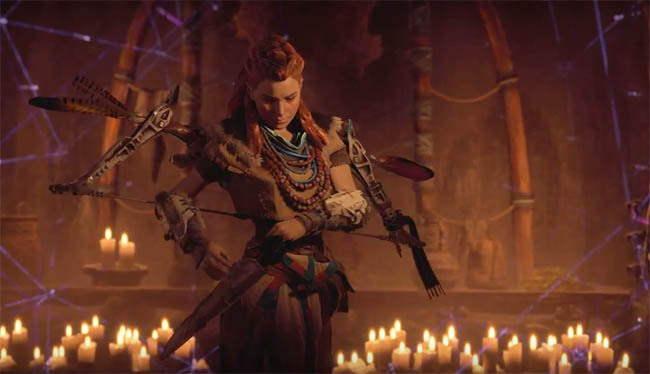 One particularly annoying feature of any open world game is missable items and in Horizon Zero Dawn there is one collectible that'll help you get the best armour in the game which is missable! 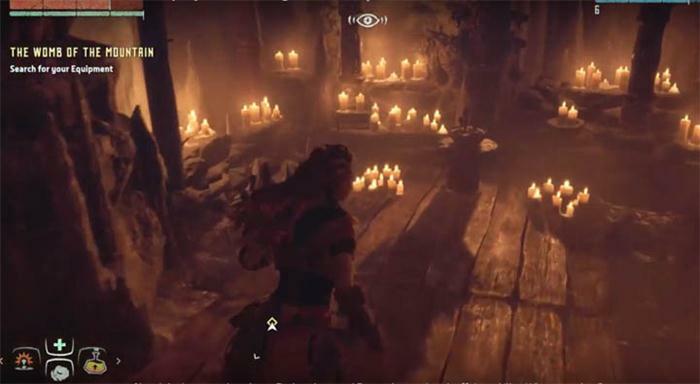 So without spoiling the story in any capacity I will help you find your way back to the "Womb of the Mountain" quest area and claim the Power Cell item for the Ultra-Weave armour set. If you have read my other guide for all of the Power Cell locations you will no doubt have seen that there are 4-5 Power Cells to collect in the game before the Ancient Armory bunker can be opened and the invincibility armour can be unlocked. 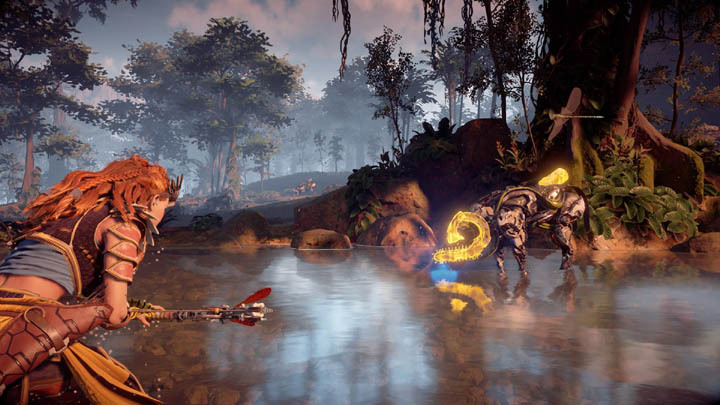 Each Power Cell is hidden in a particular area of the game, some open world in plain sight whilst others are slap bang in the middle of a mission. 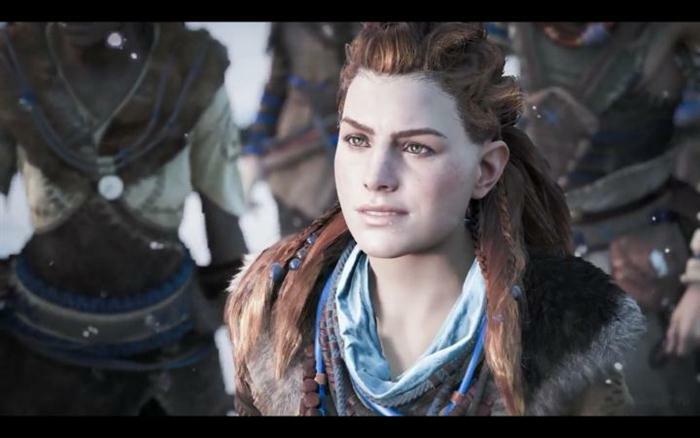 One particular Power Cell is hidden in the middle of the "All Mother's Womb" quest which is an underground mountainous area that Aloy finds herself in after a rather tense moment with a rival tribe and an incident with Ros during the Proving. Seeing how she literally just wakes up in this area, it's not obvious how you can return at a later time. I know many of you will have tried to return but the locked door has prevented you from entering? Originally, many people thought that the key to entering the mountain again was to wait a lot longer in the main story. I don't want to spoil the plot but as things progress you will be returning to this area in the future because many of the characters play a part in the story. However, it won't be until you complete the quest "The Heart of the Nora" - by which time it will be the end of the game! Although some players said they could enter the mountain earlier, there was no proof so I decided to test for myself. I CAN confirm that after leaving the mountain you can return after a couple of quests, or by leaving the area and saving so the spawns change. Map Location - if you would like to try and reenter the maintain for yourself then the entrance is in the south eastern corner of the world map (near where you start the game). Look for the settlement called "Mother's Watch", head through the fort and venture south, leading up the path to the entrance of the mountain. This area of the world map is white so you can easily tell where it is. See map above. 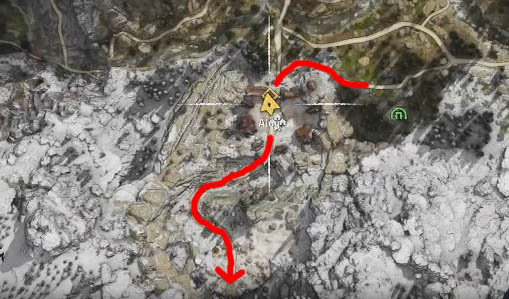 This mountain is NOT a marked location but I have highlighted it in red for you.